Over the last few years we’ve seen all manner of Apple and iPhone shaped deserts, but this one takes the cake (zing!). It’s the most detailed iPhone cake we’ve ever seen, and it probably owes a lot of its beauty to the magic of fondant. 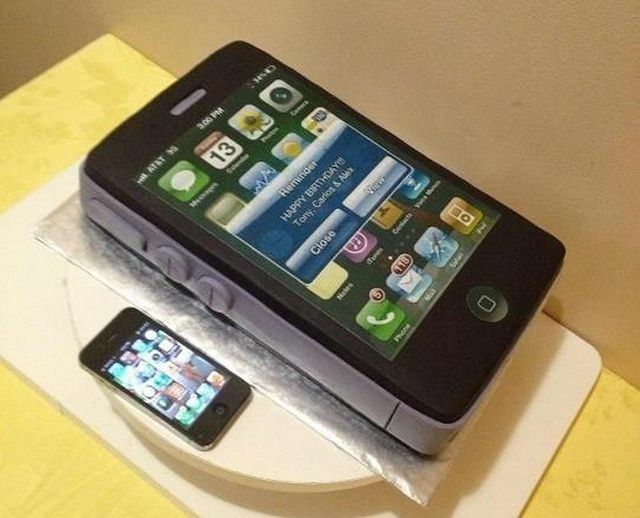 It’s a cake even Jony Ive would be proud of. And the Happy Birthday reminder on the screen adds a perfect flourish.